You may recall my post back in August about Pink Parcel, a monthly subscription box that aims to help ladies find a little enjoyment during the worst week of the month. Basically, Pink Parcel delivers a box to your door each month with everything you need to get through your monthly cycle and a few treats to make the week as misery-free as possible. 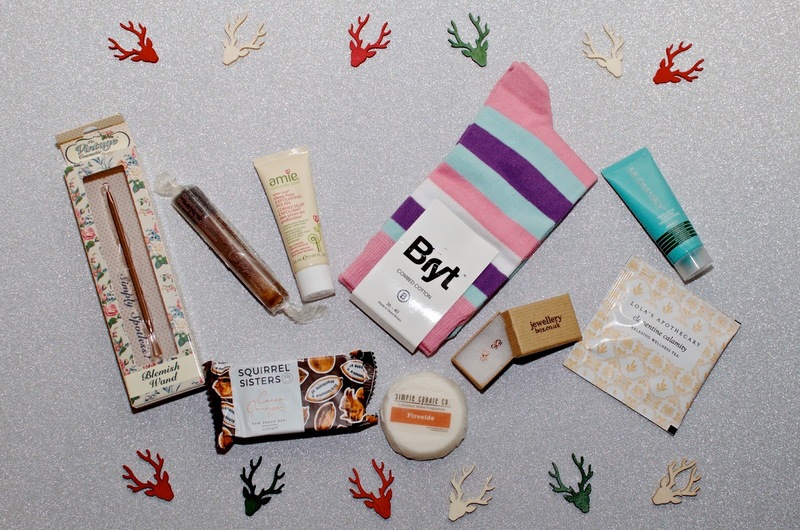 Each box contains tampons, pads, chocolate, tea and beauty products, but the Christmas Box is a bit more special than the previous box I reviewed. Just in time for the holidays, the folks at Pink Parcel have given me a little sneak peek of their Christmas box for 2016. The Christmas Pink Parcel Box still has all the usual supplies you can expect from the service that you need for that time of the month including a stash for your handbag in a little pouch, some pads for nighttime and tampons. You do get to choose what you'd prefer when you sign up, so if you don't want a mixed box, just say so select accordingly when you join. However you choose to subscribe, they have you covered each month and it's one less thing you have to worry about. Aside from that, the Christmas box also has the same types of treats as usual, but they've been given it an upgrade for the holiday season with a few little gifts too! You still get your chocolate sweet treat and your tea, this time featuring a Lola's Apothecary Clementine Calamity tea bag and a stick of Fudge Kitchen Gingerbread Flavoured Fudge Dipped in Dark Chocolate... Decadent and spicy, this sweet treat tastes of rich chocolate infused with mulled wine spices. In short, it's heavenly and exactly what you want to be noshing on during the holiday season. There's also a bonus treat in the Christmas Box - Squirrel Sisters Cacao Orange Raw Snack Bar. I normally don't love things like this, but I ate this one so quickly I hardly got a chance to savor it... It's delicious and its chocolate-orange flavor is so spot on for Christmas! In terms of beauty treats, the Christmas Pink Parcel Box includes a Vintage Cosmetics Rose Gold Blemish Wand, a tube of Mudmasky Facial Detox Purifying Recovery Mask and a tube of amie New Leaf Deep Pore Exfoliating Polish Correcteur Exfoliant, all of which will come in handy when you're face breaks out because of hormones or the overindulgences that come with holiday celebrations. In addition to the usual treats, there are a few little gifts included in the Christmas Box. A pair of socks, an adorable pair of JewelleryBox.co.uk 18ct Rose Gold Dipped Sterling Silver Ribbon Bow Stud Earrings and a Simple Candle Co. Fireside Scented Soy Wax Melt from their Christmas Collection, which smells divine. If you think you might like to join Pink Parcel or even sign up someone in your family, now is the time to do it... You don't want to miss this epic Christmas Box for a stress-free period during the holiday season and a gift that keeps on giving throughout the year. Your first box with Pink Parcel is just £6.99 and each following box is £10.50. Postage and packaging is included in the price and you can pay by card on direct debit. You can also cancel at any time. 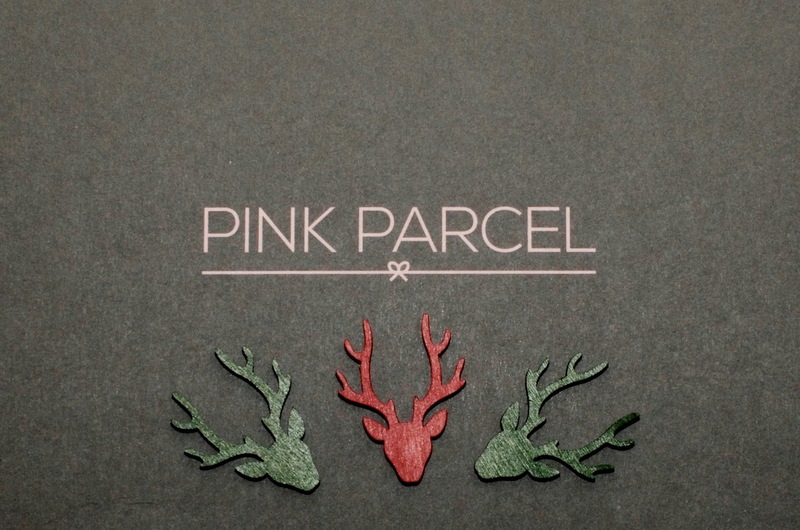 Click here to read more about how Pink Parcel works or visit pinkparcel.co.uk for more information or to subscribe.